Have you or someone you know fallen down in a boutique in Wilton Manors or tripped and fallen inside a restaurant in Fort Lauderdale? Have you been injured in an elevator or been hurt because of a lack of security at an establishment on the strip or at a bar on Wilton Drive? These are all examples of what is known as premise liability cases and they require experience and knowledge of the law that only a qualified premise liability lawyer like Joseph P Wagoner can bring. 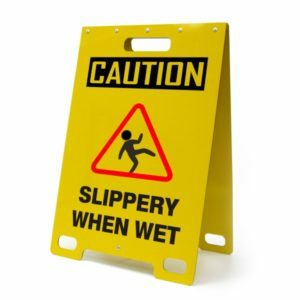 Think you have a slip and fall case or other premise liability case and need help? Start by calling (954) 626-0727 or click here. Many times injuries occur as a result of accidents on properties that could have been avoided had the property owner or operator maintained a safer environment. This is especially true for commercial operations that are inviting the public to shop at their stores, such as along Wilton Drive in Wilton Manors. While some businesses pay close attention to safety procedures and practices, that is not necessarily true for all business entities. We’ve all heard of cases where stores neglect to use signage adequately to designate an area as ‘slippery when wet’. Lobbies close to pool areas in Fort Lauderdale hotels can also be problematic. Many times stores become overstocked for particular reasons and finding a safe place to set or construct product displays can result in using as much floor space as possible, which can minimize mobility room for store patrons as well as employees. These unsafe displays and potential for falls can easily result in personal injury claims against the business operator, and sometimes even the property owner if the business space is rented. 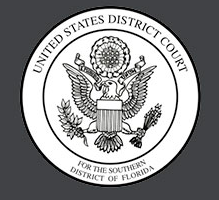 Anyone in the Wilton Manors or Fort Lauderdale area of South Florida who has been injured as the result of unsafe property maintenance, negligent security and other premise liability issues should contact personal injury lawyer Joseph P. Wagoner, P.A. for a full evaluation of the value of your injury claim. Mr. Wagoner is a former insurance company attorney who understands the tactics used in defense of a premises liability claim and works diligently for maximum compensation for all clients. Business owners all have a legal reasonable duty of care responsibility to everyone who enters their business, and premises liability claims usually stem from a lack of attention to safety issues or negligent security. Many injuries happen when merchandise is stacked poorly and allows for falling objects from very little impact. Additionally, floors can be a particular problem when products or water spills on the walkways within a structure. Every store manager should have a priority list for properly cleaning up safety issues such as these and conspicuously marking the affected area. Even for attentive managers, these problems can still arise when a patron is injured immediately after a floor issue develops or falling objects become dislodged without notice. When personal injuries are caused by store maintenance issues collecting damages can be difficult and will always require the legal expertise of a premises liability attorney like Joe Wagoner who understands how to build a case that establishes responsibility for the accident injury directly on the negligent property operator or owner. Joe has been practicing in Wilton Manors and Fort Lauderdale for years and has logged an impressive case history. Contact attorney Joseph P. Wagoner for a free consultation regarding your particular personal injury case today by calling (954) 626-0727 or click here.